Colonel Linda (Thomas) Lyon retired from the Air Force in 2007 at Andrews AFB, Maryland where she served as the Mission Support Group Commander (city manager) for a 20,000-person community with 2,000 people under her command. Since retirement from the Air Force she managed a $28 million logistical service contract at the Department of Energy and served as Deputy Program Manager for the $30 million SBInet contract at L-3 Communications. Since moving to Tucson in 2008, she (and her wife) created and ran four annual Wingspan charity golf tournaments bringing in almost $65,000, and she served as the organization’s Director for 14 months. She has also served in key positions for five legislative campaigns. Linda is in her second term as a member of the Oracle School District Governing Board and was named Advocate of the Year for 2013 by the Arizona School Board Association. 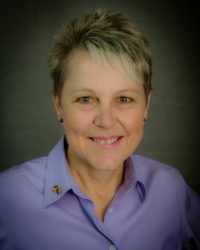 In 2018, she served as the Association’s President, followed by serving as the past president. Linda blogs at RestoreReason.com and cross-posts to Blog for AZ, Sky Island Scriber, and Education Bloggers Network Central. She has freelanced in local publications and proudly sports her National Writers Union UAW Local 1981 membership. Read Linda Lyon’s blog posts here.